Salman Khan seems to be too tired of the maddening world. His split rumours with Katrina has apparently taken a toll on his well-being. The actor has recently bought a yatch to escape the world and its tormenting speculations and be in peace in the middle of the ocean. After his innings as an actor and painter, Salman perhaps wants to be a recluse and just wants the company of his brothers – Arbaaz and Sohail. Don't be surprised if you see the Khan brothers Salman, Sohail and Arbaaz partying on a private yacht in Alibaug. Sources reveal that Salman has bought a yacht, and it is parked at a private stretch of the beach in Alibaug. A source reveals, "Sohail came up with the idea of buying a yacht because he loves the ocean and swimming. Salman and Arbaaz supported him and decided they get one. The yacht is a medium- sized model that can host a small party of 10 people. Salman and Sohail were spotted partying on it a month back with a bunch of kids from their family." A friend close to the family confirms that the yacht is the family's prized possession and they often use it to get away from the city. "Since Salman doesn't want to be seen travelling in it, he has parked it at a secluded spot in Alibaug. 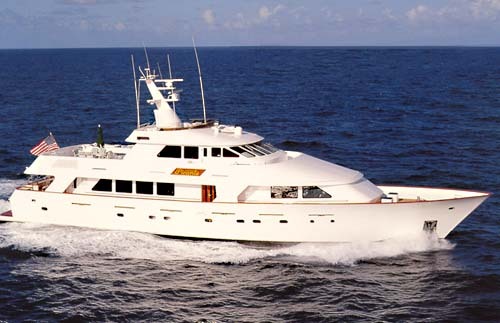 The actor has also deputed two people who are responsible for maintaining the yacht." Even though details of the yacht's make are sketchy the source confirms the price tag is anything between Rs 2.5-3 crore."